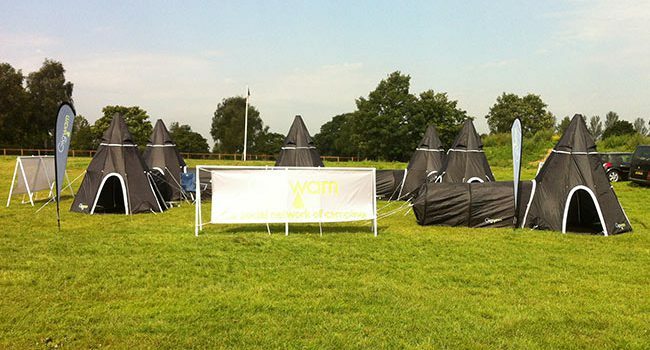 www.gigwam.co.ukGigwam™ has a UK & international patent pending, as well as a granted trademark in the UK and design registration pending in the USA. 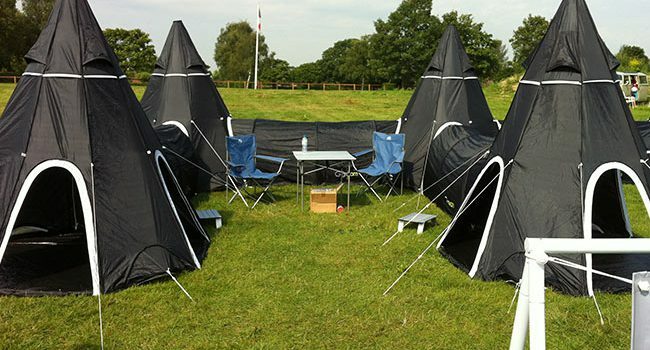 The Gigwam™ system came about as the result of a creative spark from Dustin when he felt that the festival experience was not as social as it could be. 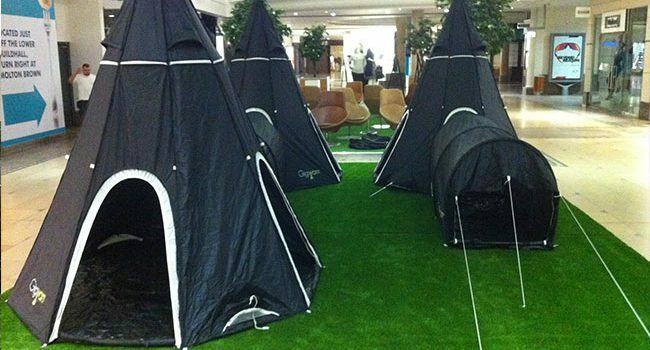 His desire to create a real “community” when using tents in any situation led to the development of his product. 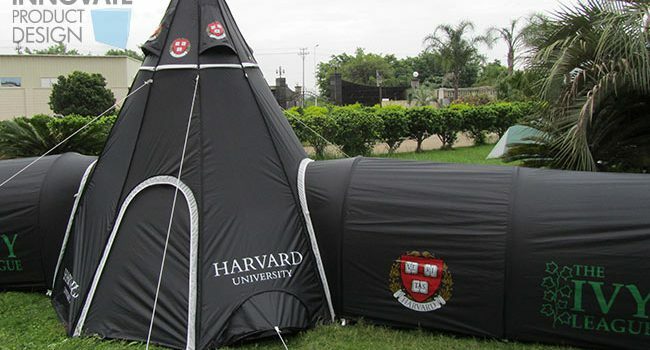 Dustin first approached Innovate in 2009 with his idea for a revolutionary new tent that aimed to change the way that campers and festival-goers would interact. After completing a worldwide patent search, Dustin used our experienced Product Design team to turn his sketches into something that could be presented to potentially interested parties.After having looked at various technical matters that needed to be addressed and providing Dustin with a variety of potential concepts that could be developed, Innovate produced a set of presentation boards which visualised Dustin’s invention as a photorealistic render showing the idea in terms of construction and user interaction. Innovate also developed the signature logo which now forms part of the branding on the Gigwam™ product itself.After protecting the idea via patent and trade marking the distinctive name “Gigwam”, Dustin set about finding a manufacturer to construct his product before taking the invention to market. 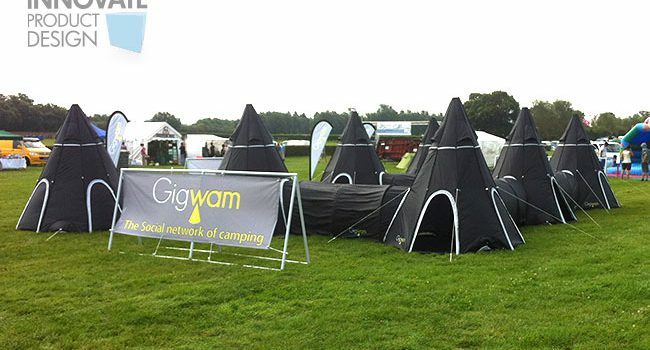 Since the launch of the Gigwam™, the tent system has been showcased at a number of music festivals and camping exhibitions. Dustin and Gigwam™ also appeared on the UK television show “Dragons’ Den” where he was offered investment from two high-profile Dragons Theo Paphitis and Deborah Meaden, but decided to turn them down to go it alone. Dustin is now looking to move onto his next invention….the Kidwam!